You wanna know something kooky about me and this dip? And, I don't like cooked spinach. I suppose if anything was swimming in Alfredo sauce, cream cheese, mozzarella, and Parmesan cheese - well, it would be living the good life. 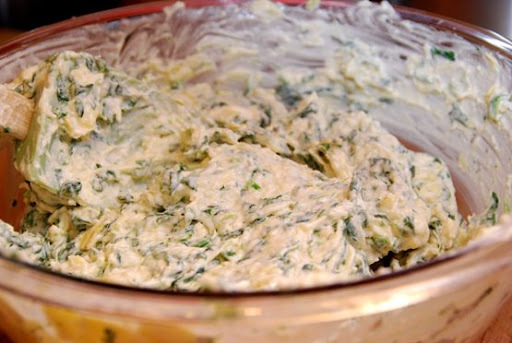 This dip is crazy good. Crazy, crazy good. And, very easy to make! 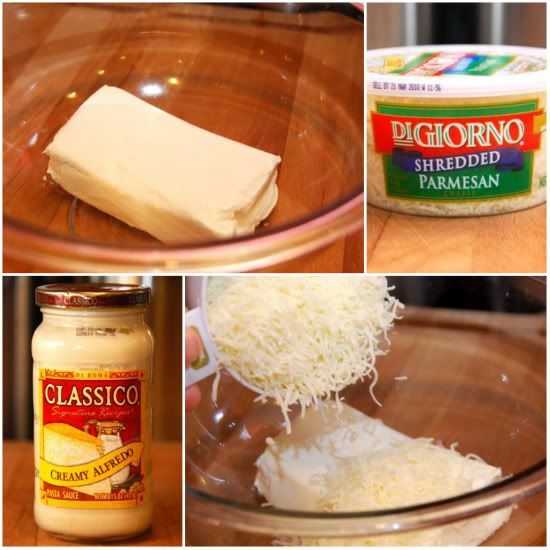 Combine all manner of cheesiness: Alfredo sauce, cream cheese, mozzarella, and Parmesan. 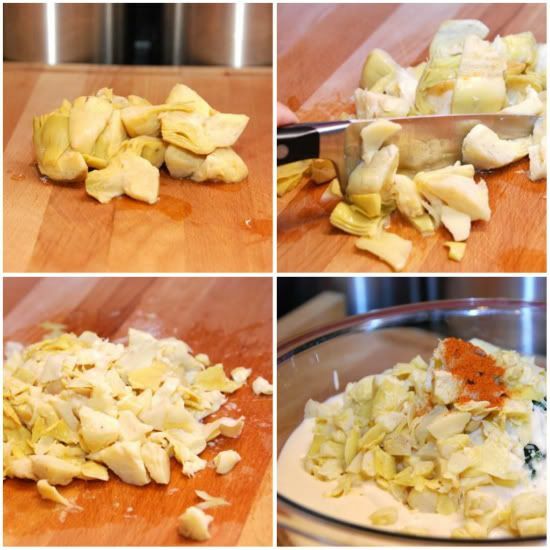 Then, drain and chop a can of artichoke hearts. I chop the artichoke hearts very small. My husband likes them chunkier. Do whatever you like! Add a few dashes of crushed red pepper. This gives the dip a little zing. During this time, I've been roasting a few cloves of garlic. After roasting for about 20 minutes, they get all mushy and nutty and delicious. I put them on my cutting board, add 1/2 teaspoon of salt, and create a roasted garlic paste. 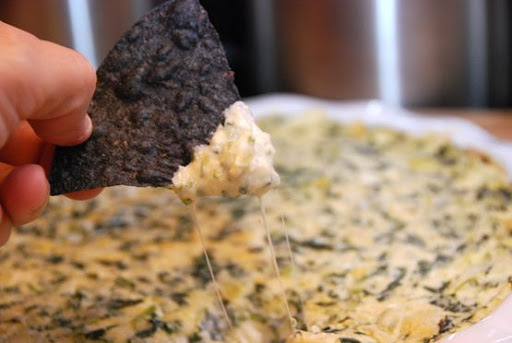 It's out of this world in this dip! Add the roasted garlic paste and some black pepper, and stir it all together. Spread the mixture into a pie plate, and bake, covered, for 30 minutes. I remove the foil for the last 5 minutes or so, to let it get a little more bubbly and a bit firmer on top. I serve this dip with blue corn tortilla chips. The blue chips make it look so sophisticated. 1. Add pancetta. Or ham. Or BACON! 2. Lather on your favorite sandwich the next day. 3. Stuff this in mushroom caps. Bake. 4. Stuff inside a chicken breast. Or lather on top. Cover and bake. Whatever you do, make this one. If you try it, tell me! I love hearing about the creative ways you all make these recipes your own. You all have some of the best ideas! 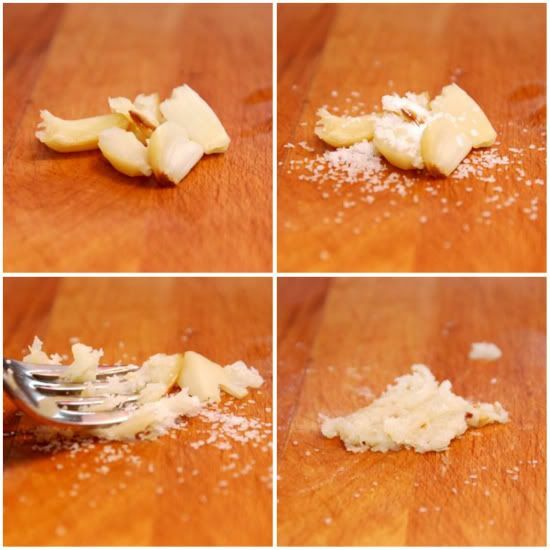 Place unpeeled garlic cloves on a baking sheet. Roast at 350 degrees for 20 to 30 minutes, until soft. While garlic is roasting, chop artichoke hearts. 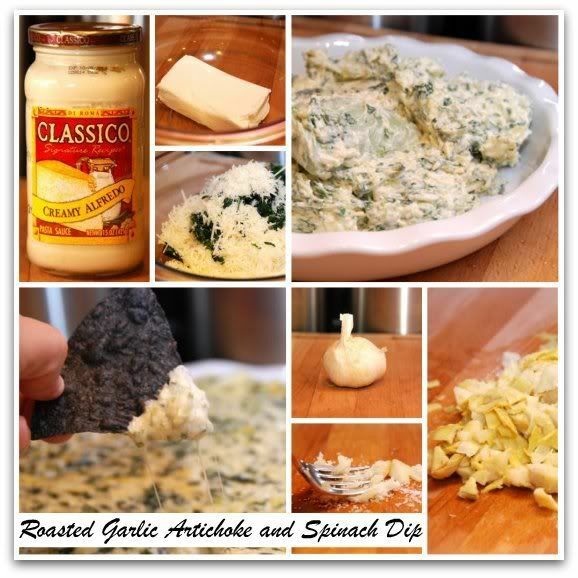 In a medium bowl, combine spinach, artichoke hearts, Alfredo sauce, mozzarella cheese, Parmesan cheese, cream cheese, crushed red pepper, and freshly ground black pepper. Remove the garlic from the oven when finished roasting. Carefully remove outer peel (hot!) and place on a cutting board or mat. Add salt. Using a fork, mush garlic and salt into a creamy paste. 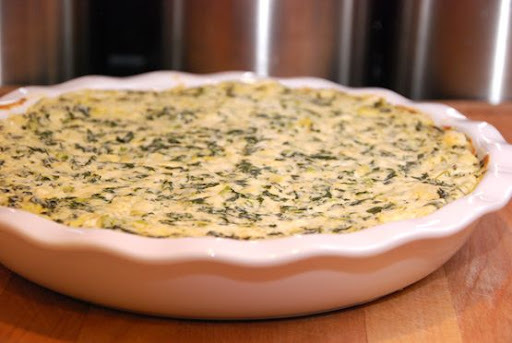 Pour mixture into a pie plate or medium sized baking dish. Cover with foil and bake at 350 degrees for 25 minutes. Remove foil and bake for 5 additional minutes. Serve with tortilla chips or cubed Italian bread. 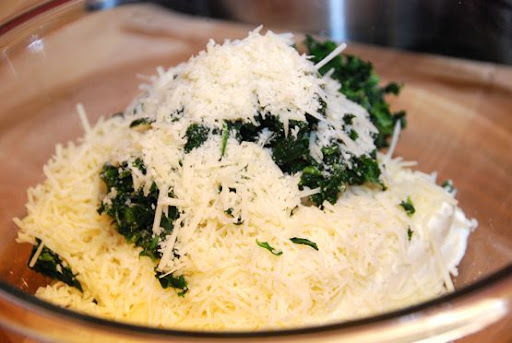 *If you don't have fresh garlic (or are too lazy to roast it - like I am some days), you can use 2 teaspoons of garlic powder instead of the roasted garlic. YALL!!!!!!!! 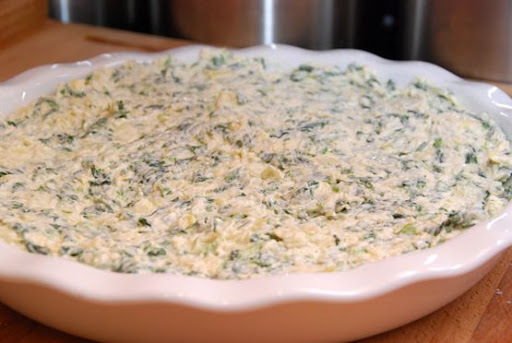 I CAN SAY I KNOW FULL WELL HOW WONDERFUL THIS DIP IS--- I MADE IT THIS PAST WEEKEND AND MY FRIENDS RAVEDDDDDDDDDDDDD ABOUT IT--- IT IS THE BEST SPINACH DIP EVER HANDS DOWN! I'm with you - I don't care for cooked spinach, and I've never even tried artichokes. But you've done such a great job with this photo post that I do believe I'll try it! And, BTW, how DO you do those photo collage thingys?? They're beautiful! I am so happy you posted this. I was in Costco the other day and had to steer clear of the deli section so I wouldn't buy more of theirs. Very excited to try this recipe! Love your blog. I think this is my first comment! Thank you, thank you, for this recipe. 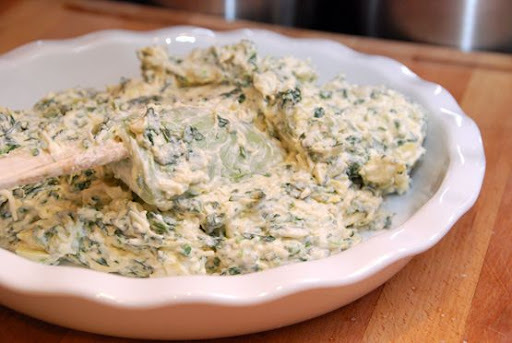 (I can't thank you enough) This was the best artichoke and spinach dip I have ever had!